Finding good Red Burgundy at a decent price is tough, so I was curious how this $20 bottle from Costco would show. Overall, I found it to be an ok buy, hard to beat for the money, but not the hidden value Pinot I had hoped for. Pleasant nose, fresh berries with some smoke and perfume; the wine has an excellent body and feels like an expensive Burgundy wine in the mouth, light and smooth; abundant fruit flavor with a super dry finish. This is a perfect food wine to enjoy with almost any pairing. Be sure to give this wine some air and/or decant. It opened up quite a bit after an hour. 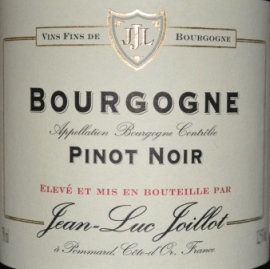 For Pinot and Burgundy fans, I’d say this is worth a look if your budget’s tight. Otherwise, I think you can spend a bit more and see a nice jump up in quality. I’ll be keeping an eye out for a Pinot that fits that bill and will let you know what I find.